It’s that time of year when leaves turn golden, the air gets nippy, and ghosts and goblins make their Halloween appearances. For the last month, several older hotels here in Colorado have been hosting ghost-hunting parties and spooky tours. Silly fun...or are these hotels truly haunted? 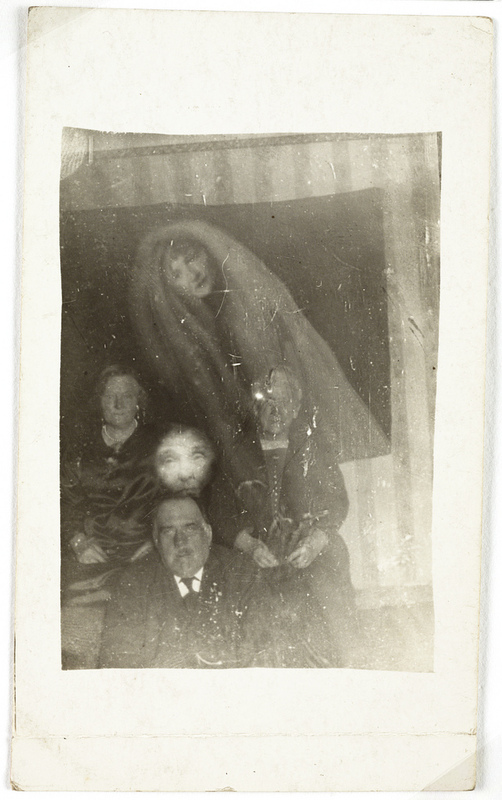 I Think My House Is Haunted, Can You Help Me? Over the years a few people have called our agency, asking if we could investigate ghosts they believe are haunting their homes. We’ll decline, explaining that we are not paranormal investigators, and we try to steer them to paranormal investigation sources that sincerely want to help people and not take advantage of their fears. What Is a Paranormal Investigator? Most paranormal investigators are people who are certified in parapsychology or who have studied paranormal investigations. Their goal is to help people in need, and often paranormal investigators do not accept money for their services (although they may accept donations for travel, lodging and expenses). Some paranormal investigators make money through writing books, conducting “ghost tours,” giving workshops, or even starring in TV reality shows about ghost hunters. We used to recommend people contact the National and International ParaHaunt Paranormal Family Network that gave referrals to paranormal investigators throughout the U.S.and the world, but it appears the organization no longer exists. However, you can check the background of the paranormal organization or investigator before you retain their services. Contact the Better Business Bureau, research the organization/person on the Internet for news stories and client referrals, review their website and contact any former clients for recommendations, or hire a private investigator to double-check the paranormal investigator’s background (especially if you’re inviting this person into your home). More than once I have visited the Stanley Hotel and taken its Ghost Tour. The “Stanley” is known for its Room #217, where Stephen King first began writing The Shining, later made into a movie starring Jack Nicholson. I took photos during these ghost tours with my digital camera, and others in the group (including the tour guide) would tell me I had captured orbs, which supposedly indicated the presence of spirits. The Paranormal Encyclopedia says that “both skeptics, and many ghost hunters, agree that photographic orbs are most often, if not always, caused by natural elements such as dust, pollen, or water vapor.” I don’t know what caused the orbs, but if I’d seen, oh, a spectral figure hovering in the photo…well, then I’d believe I’d captured evidence of a ghost. I’ve taken the ghost tour three times at the Brown Palace Hotel, built in 1892. Each time, the guide told us fantastic stories about ghosts and ghouls who haunt the hotel, from a long-dead string quartet that still practices their music to a ghost-like train conductor who walks through walls. 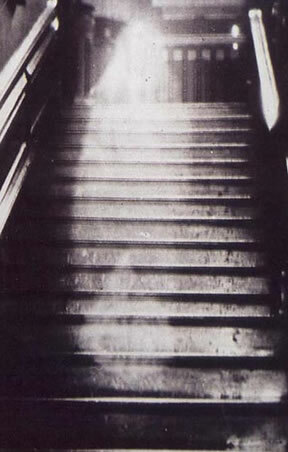 I would have loved to have seen or heard one of these apparitions, but I never did. Neither did anyone else on those tours. Although one of the tour guides swore that late one night she saw a “black mass” of vapor swirl up to the ceiling and disappear. Hmmm. Seven or so years ago, I was writing a novel that featured a ghost character who'd lived during the late nineteenth-century silver-boom days of Colorado. During this era, there was a famous madam, Mattie Silks, whom people claim still haunts her old living quarters in Denver (which was called the House of Mirrors). One spring afternoon, I visited the House of Mirrors, which had morphed into a bar/restaurant. The business was closed, but a friendly bartender let me in to walk around and look at spots where the madam’s ghost had been seen and heard (several people claimed to have even heard her whispering on a certain staircase). Did I see or hear any ghostly goings-on? He claimed there had been plenty of spooky goings-on in the old building. He said late at night, when he's alone cleaning up, sometimes the elevator will suddenly start working, its doors opening…and no one is inside. And then there was the night when an entire shelf, along with bottles and glasses, suddenly crashed to the floor. And another time he heard whispering and giggling on the stairs. He checked out the staircase, but no one was there. I got goosebumps listening to his stories. He invited me to come back after the place closes one night, and to bring my co-investigator, and we were welcome to document any unexplained noises, sounds, etc. All rights reserved by Colleen Collins. Any use of the content requires specific, written authority from the author.